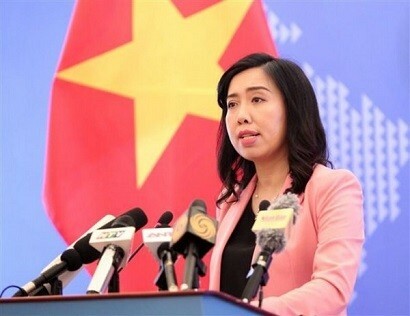 Viet Nam welcomes the US and the Democratic People’s Republic of Korea (DPRK) to hold second Summit in the Southeast Asia country, said Foreign Ministry’s Spokesperson Le Thi Thu Hang. Hang made the above statement on Wednesday in response to reporters’ question on Viet Nam’s comments on US President Donald Trump’s latest State of the Union Address in which Trump said the summit is scheduled to take place in Viet Nam on February 27-28. Hang went on to say that Viet Nam strongly supports dialogues to maintain peace, security, and stability on the Korean peninsula and stands ready to make active contribution to and coordinate with relevant sides to ensure the success of the second summit, thus helping to achieve the above-mentioned goal.